Click here to visit the official thread. Midway have just updated the official Mortal Kombat: Armageddon Website. All of the old content is gone and a new shiny logo and a flash intro appear on the main page. Try to click on the Dragon's eye to open a new page with an image with question mark on it. Looks cool as a background. Please, sit down and make yourself comfortable because this will take a while. 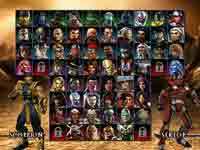 We updated our Mortal Kombat Trilogy, Mortal Kombat: Unchained and Mortal Kombat: Armageddon section. We added a couple of new images and fixed a few things. We added Mortal Kombat: Unchained and Mortal Kombat: Armageddon in our Online Store. So you will finally be able to pre-order them. To do this, please click here. Prima has revealed the Official Mortal Kombat: Armageddon Strategy Guide. The Book is also available for pre-order and actually at lower price - only $11,04. Click here to pre-order it. Now we finally get to the most interesting part of this news. Today we updated our Mortal Kombat 1 section. We added video clips of all finishing moves in the game. The movies can be seen online (without registration) or downloaded (registration needed). These videos are part of our plan to create the most complete finisher theater online. So pay close attention to our separate Finisher Theater section.  I would like to say thanks to our staff members ded_ and Juggernaut, our newest staff member for their hard work. You are now free to go and take a look around. Cinder posted the current official release date for Mortal Kombat: Armageddon. For USA it is October 9th. There is no concrete date for the European release. The only known thing is, that the game will be released somewhere in October. Please note, that this might date might still be changed. This is the latest video from Shock, ded_ and DreemerNJ at UltimateMK and DarkTemplarz. It is a short video abusing the exploit of Noob Saibot's Disabler move, but instead for the other characters who have special move limitations. It is a very broken move to begin with, and since no one would ever be dumb enough to backfire it, we decided to explore the combo possibilities. We would like to see what other people can come up with so we've left a lot to the imagination, there are only 20 combos, but they are rather insane. Remember this is a glitch, because there is no reason for the combo to break just because the effect of the special move wears off, essentially game breaking. The video uses Divx 6.1.1, 45.6 megs, 3 minutes 33 seconds. This was a fun video, nothing fancy, enjoy!